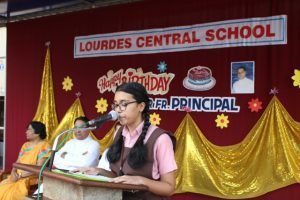 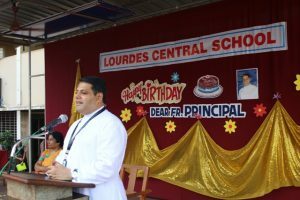 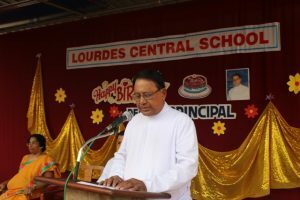 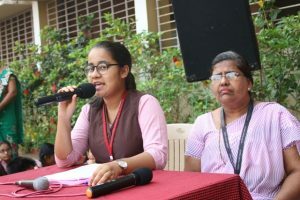 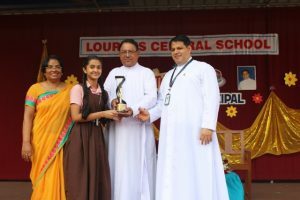 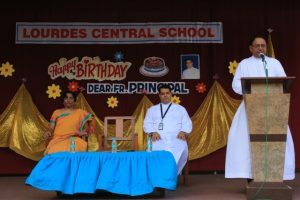 The much awaited event at LCS ‘Fr Principals Birthday and ‘Thanks giving class get together’ was celebrated with joy and happiness on 30th March 2019. 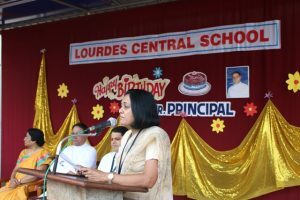 The day marks the end of the academic year, wherein the students thank their teachers for their care, concern and knowledge provided to them throughout the year. 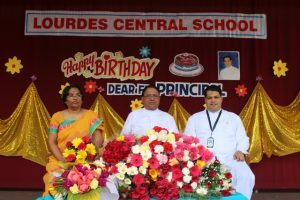 The day began with a short programme when the students and staff greeted Fr Principal on his birthday with songs, flowers and best wishes. 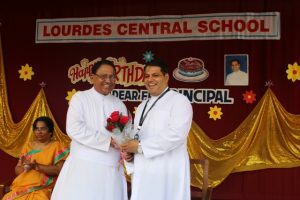 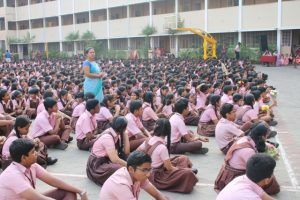 Students also offered him potted plants to be planted in the school campus as they know their principals’ love for plants. 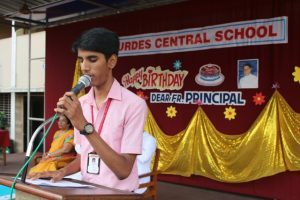 It was followed by the class thanks giving and get together where students shared their momentous moments of togetherness. 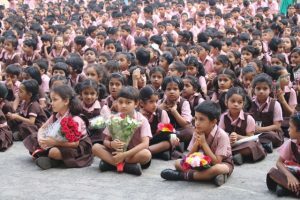 Snacks and cool drinks were shared among the students. 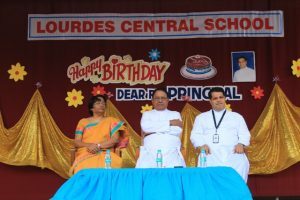 Students and teachers enjoyed the day in each other’s company. 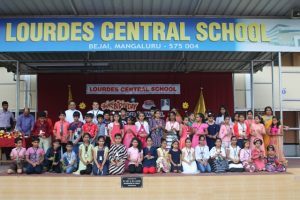 Students were honoured with the merit certificates, full attendance and best handwriting. 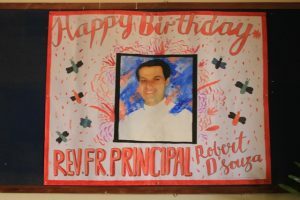 Later, the staff greeted the Principal and a sumptuous meal hosted by the Principal to mark his birthday and also thank the Almighty for the wonderful year.